Baby boomers, the generation born between 1946 and 1964, have grown to be the largest group experiencing hearing loss today. According to the Better Hearing Institute, 14.6 percent of people in this age group have a hearing problem. That’s 1 in 6! Sadly, despite the growing number of baby boomers with hearing loss, only about 25 percent of them proactively seek help. Daily life is full of noise. We wake up to a buzzing alarm clock and for the rest of the day, our ears are constantly exposed to a world of sound, some of it harmful. More than a third of all hearing loss cases can be attributed to noise, and hearing loss in baby boomers is the most common. Baby boomers still make up about one-third of today’s workforce. Whether by choice or circumstance, many people reaching retirement age continue to work, some foregoing retirement altogether. Unfortunately, less-than-ideal work environments may have an impact on hearing as the American baby boomers generation works into their mid to late 60s. As their ears are exposed to loud daily noise, the constant exposure can start to weaken hearing over time. Acknowledging the warning signs of hearing loss in baby boomers is the first step in taking action. Very few primary physicians actually screen for hearing loss during a physical, so your doctor may fail to recognize the signs of loss even if you have them. It’s important to note if you’re finding it difficult to follow social conversations or if others have complained about your hearing. These could be signs that it’s time to get your hearing checked. 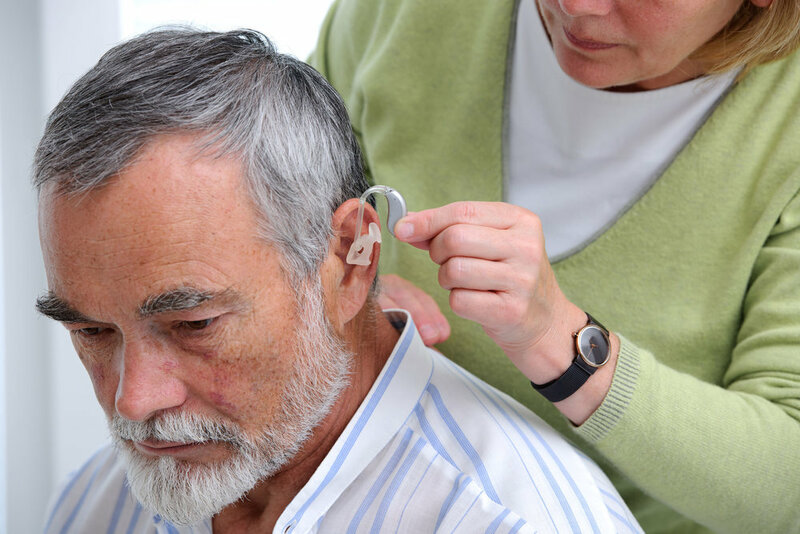 Baby boomers with hearing loss often neglect treatment because of the stigma of hearing aids. Hearing aids in years past were big, bulky, and awkward. Thankfully, with advances in digital technology, today’s hearing aids are revolutionizing how people hear. Devices are small and discreet and highlight a variety of new features. And the best part is 9 out of 10 people who use hearing aids find their overall quality of life improves. According to the Better Hearing Institute, approximately 36 million Americans have some degree of hearing loss. If you know someone suffering from hearing loss, encourage them to get treatment. Whether hearing loss is mild, moderate, or severe, it’s always best to catch it as early as possible to maintain the best quality of life. When you or your loved one is ready to improve your hearing, call the Oklahoma Hearing Center.